A great start to the day with a well deserved sleep in and a cooked breakfast made by Richard’s grandma. 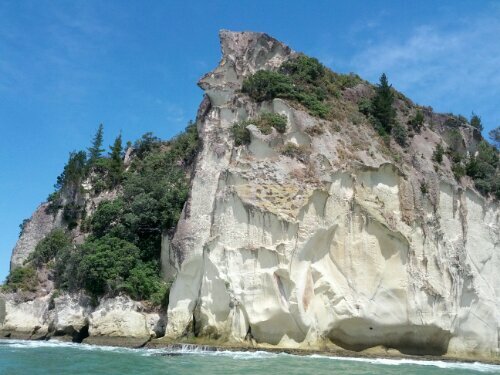 Then went back in to Whitianga for the morning. 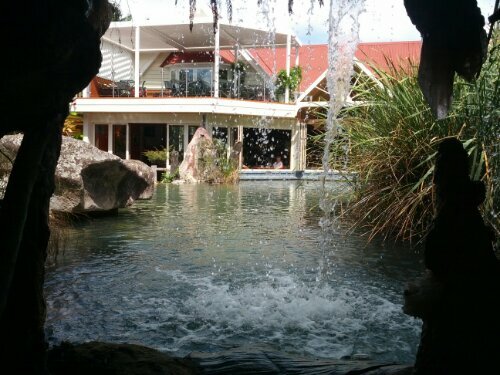 First up was the Lost Springs Hot Pools which was a pay day spa. 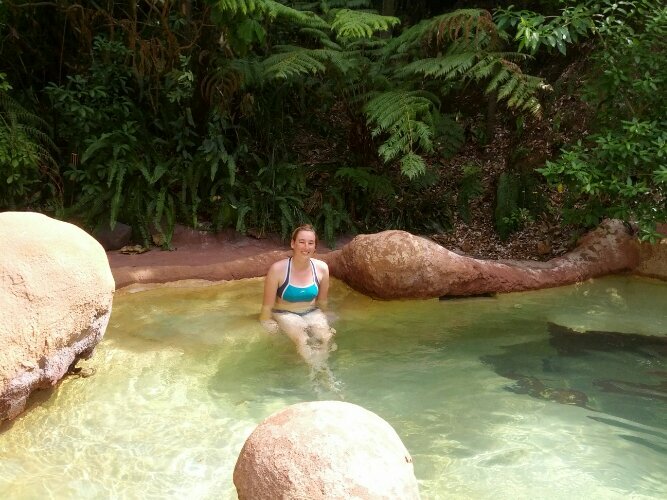 They had proper thermal volcanic water pumped in to landscaped pools surrounded by lovely gardens. Very luxurious. A quick lunch and a lap of the main street and we were off to the wharf. 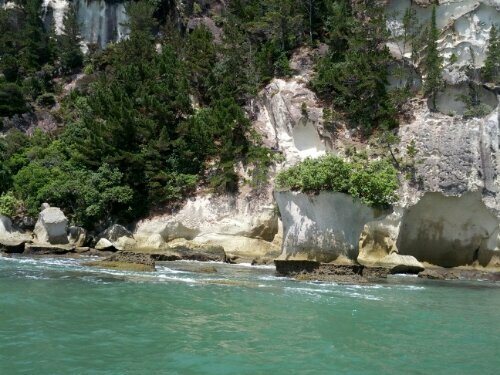 The afternoon was spent on the Caves Cruiser exploring the Cathedral Caves and Mercury Bay. 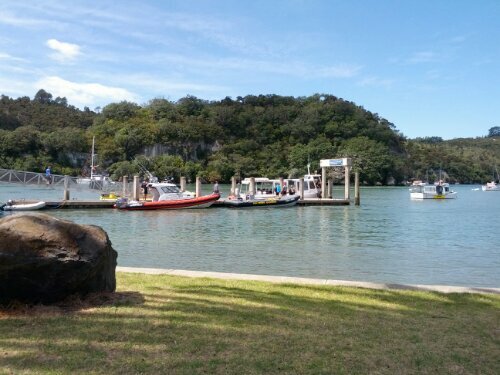 No one else was on the trip so it was a private harbour cruise. The ocean was a bit rough so we couldn’t get in to all the nooks and crannies. 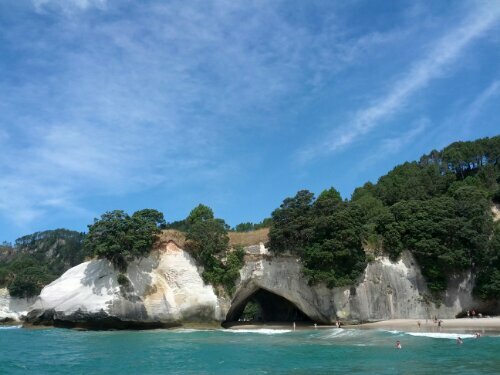 But we did get to see all the major sights and enjoyed two lots of snorkelling – one with the snapper at Gemstone Bay and the other off Matarangi Island. 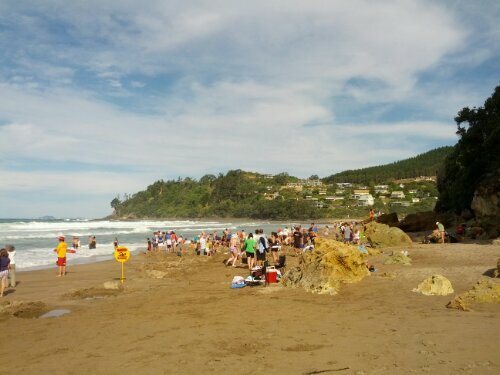 Took a shuttle bus back home and then off to Hot Water Beach for the low tide hot pools. The main attraction is as low tide, a thermal hot spring is exposed and you dig yourself a pool in the sand to soak in. 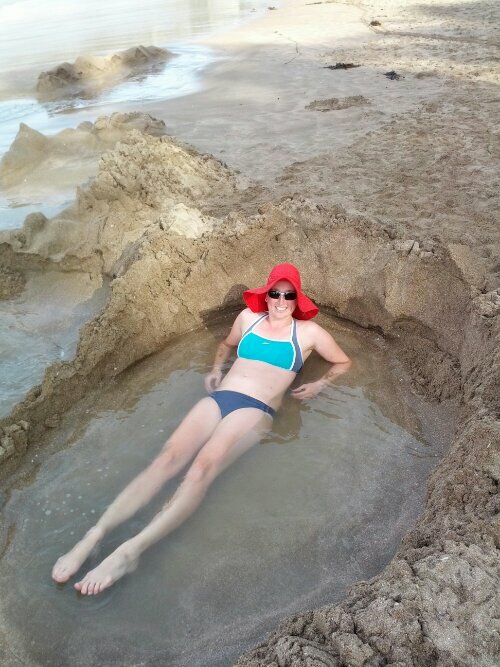 We were a bit late to the party but took over some already dug hot pools. We took over 3 dug pools as the tide came in and people abandoned them. The final one we made some extra excavation and it was fantastically warm. Back home then out again for pizzas at a local cafe then visiting friends for the evening. Tomorrow, back on the bike.